Good morning! 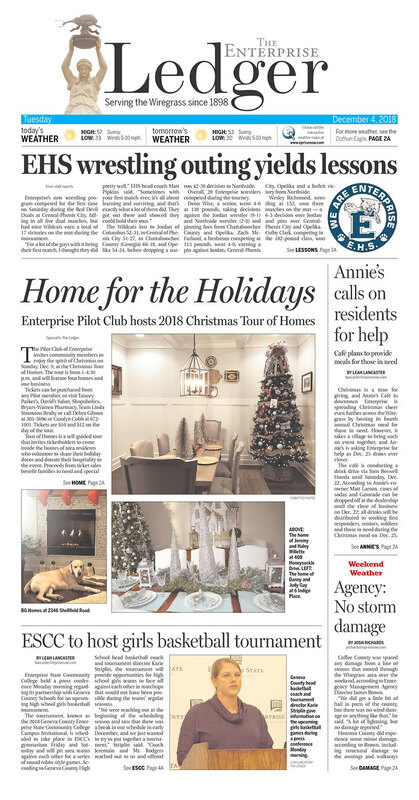 Here’s your Daily News for Tuesday, December 4. 1. Bush lies in state. I hope you were able to watch yesterday as the casket of President George H.W. 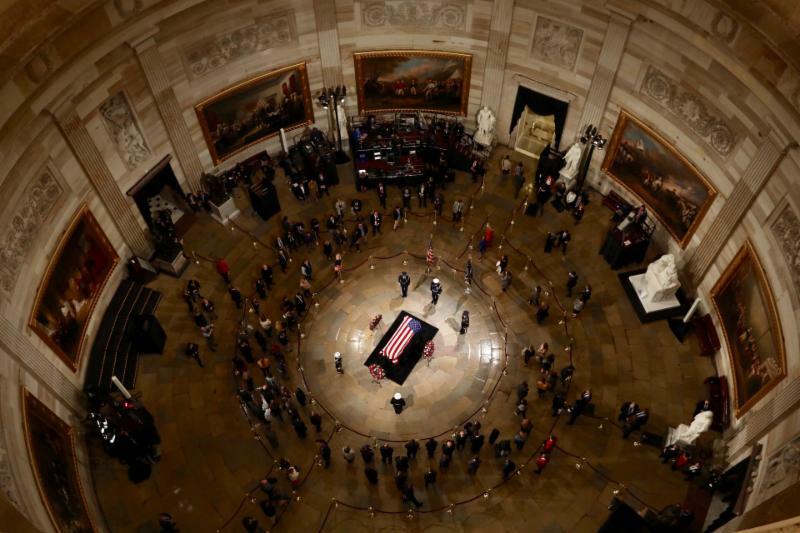 Bush was brought into the Capitol Rotunda. Vice President Mike Pence and Congressional leaders gathered to pay tribute to the former president and mourn with the Bush family. President Trump paid his respects later upon his return from Argentina. If you weren’t able to watch it, you can view it in full HERE. Also worth watching is the 60 Minutes program on Bush, with interviews with Presidents Bill Clinton, George W. Bush, and Barack Obama. And finally, this piece from Jonah Goldberg is one of the best tributes I’ve read about the former president. 2. Gingrich speaks at ALFA, Parnell reelected. 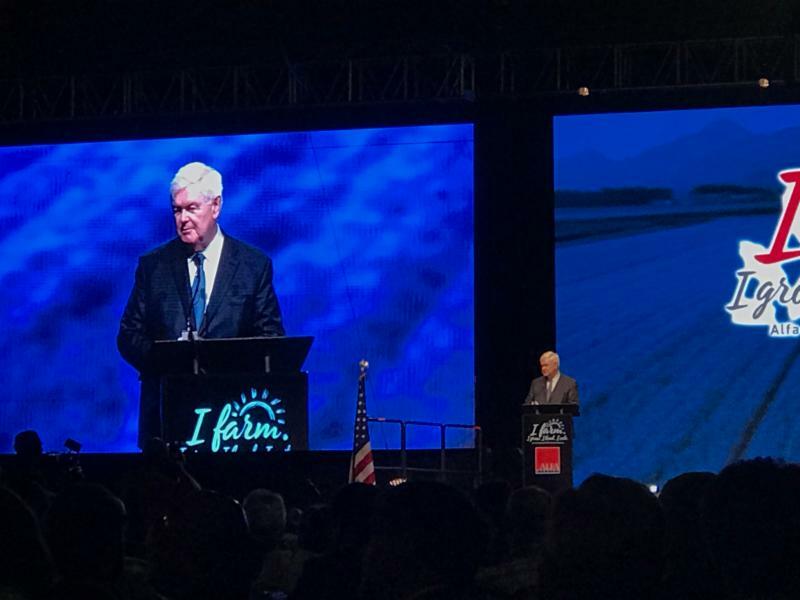 Former House Speaker Newt Gingrich delighted the crowd at the Alabama Farmers Federation Annual Meeting Monday. He spoke about the many conservative federal judges President Trump has been able to appoint, as well as his tenacity to break the mold of a typical Washington politician which is what made him win from the beginning. He described the Mueller investigation as just being another ploy in the “destroy Trump project” that liberals have created in Washington. ADN’s Caroline Beck was there and spoke to several in attendance, including State Rep. Matt Fridy and State Sen. Randy Price. The lawmakers talked about the positive impact ALFA has for Alabama’s farmers, as well as what issues they expect to come up in the legislative session. Earlier in the day, Federation President Jimmy Parnell was reelected to a fourth term leading the organization. Read all that in Caroline’s story HERE. 3. Bradford family, lawyers accuse police of ‘coverup’. Erron Brown, the suspect in the Thanksgiving night Galleria shooting, has been returned to Alabama and booked in the Jefferson County jail. 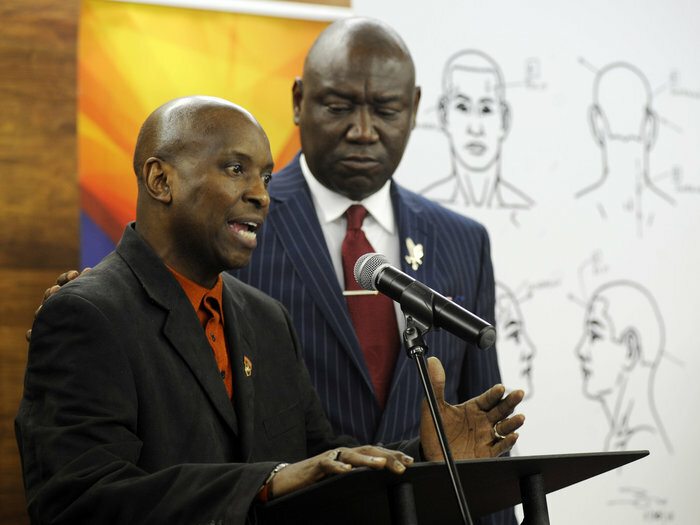 Carol Robinson reports that Brown is charged with the attempted murder of Brian Wilson. Police say the two men got in an altercation and Brown shot Wilson. Police responding to the scene shot and killed E.J. Bradford, who was reportedly not a part of the altercation. Protests over Bradford’s killing continued this week with Jesse Jackson joining the family’s lawyers in a heated press conference yesterday. They presented private autopsy results showing Bradford was shot in the back and accused police of a “coverup” for not releasing video footage. ALEA is still investigating the incident and has said releasing footage prematurely could hamper eye witness testimony. That story from Jay Reeves HERE. 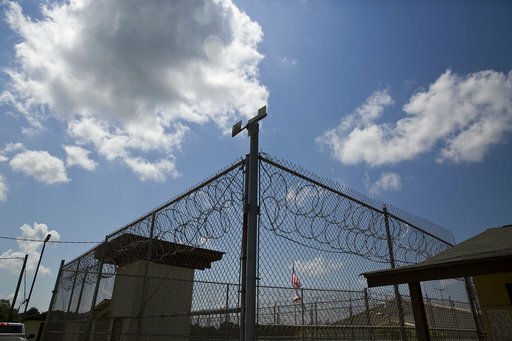 An inmate was stabbed to death and another was critically injured in two outbreaks of violence at a south Alabama prison Sunday night. The Alabama Department of Corrections said the William C. Holman Correctional Facility in Atmore remained on lockdown Monday during an investigation. 29-year-old Vaquerro Kinjuan Armstrong was fatally stabbed after an altercation with another inmate. Also, a high-ranking Alabama prison official has retired in the midst of a misconduct investigation. The Department of Corrections said Monday that Associate Commissioner Grantt Culliver has retired after being on leave for several months. The department announced in September that Culliver had been placed on leave pending the outcome of an investigation. Corrections spokesman Bob Horton said the findings have been sent to the Alabama Ethics Commission for review. The department did not disclose the nature of the allegations and said it would have no additional comment. Culliver was responsible for overseeing the daily operations of male correctional facilities. He has served as warden at Holman Correctional Facility. Alabama State Senate President Pro Tem Del Marsh (R-Anniston) has hired Derek Trotter as his chief of staff. Trotter returns to the Pro Tem’s office after a stint in the Governor’s legislative office and in the private sector. 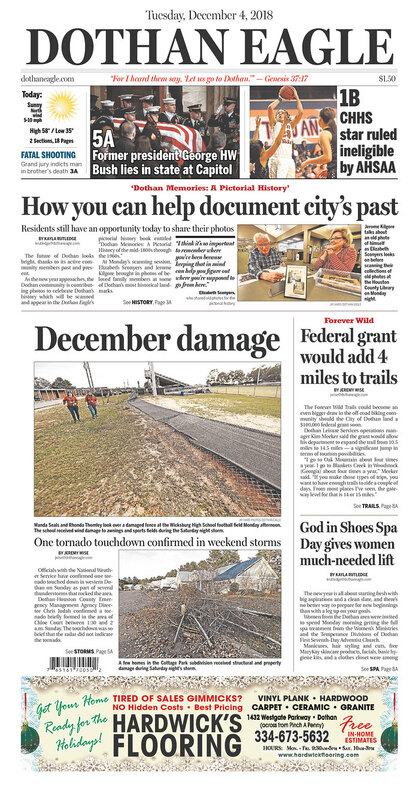 “Every member of the Alabama Senate has a shared commitment to serving their constituents to the best of their ability and I look forward to working with them in an effort to make Alabama an even better place to live, work and raise a family,” he said. Derek is a native of Trussville and a graduate of Auburn University. He and his wife Kala reside in Pike Road with their two children. Sad News: Giles Perkins, a lawyer and Democratic political consultant has died. He was 51. 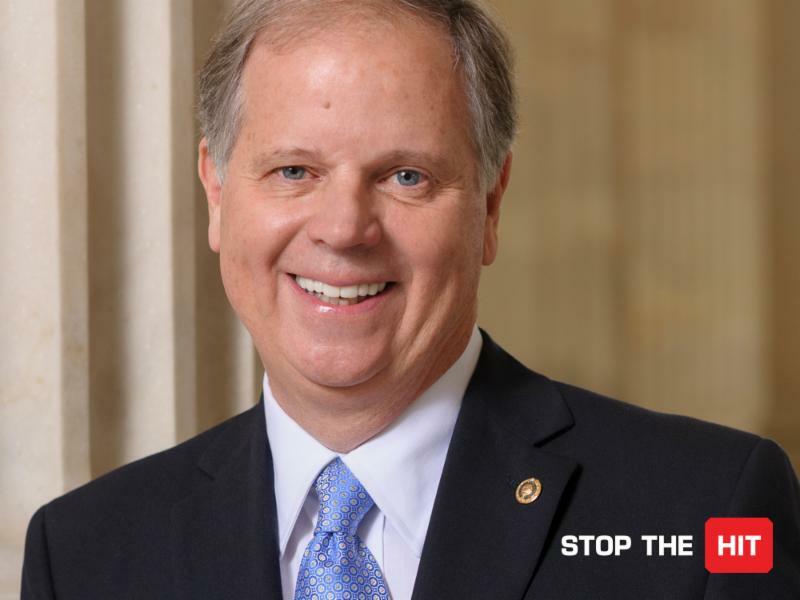 Perkins helped guide U.S. Sen. Doug Jones’ campaign to victory in Alabama last year. In the past four years alone, almost 4,000 people have died or gone missing along the migration route from Central America through Mexico to the U.S. border. That’s 1,573 more than the previously known number, calculated by the United Nations. And even that might be low because families may not report missing loved ones who were migrating illegally. The sheer numbers of the disappeared, along with crushing bureaucracy and the fear of gangs, makes it difficult for families to track what happened to their loved ones. AL.COM – Galleria mall shooting suspect Erron Brown returned to Alabama from Georgia. AL.COM – Hoover will not release mall shooting video, details due to request from state investigators. AL.COM – Hoover mall shooting: Protests continue at Hoover city council meeting, Sam’s Club. AL.COM – Prison system entering $10 million contract with project team. AL.COM – Alabama may soon have hands-free law that bans holding phone while driving. AL.COM – Columnist Kyle Whitmire: How to fix Alabama’s public records scofflaws: Lock them up. 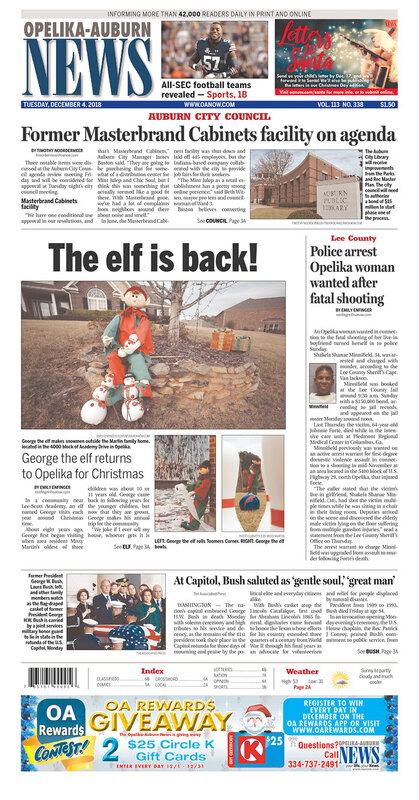 AL.COM – Columnist Dana McCain: Politics through an Advent lens. AL.COM – How an Alabama gun case could help or hurt Paul Manafort. MONTGOMERY ADVERTISER – Giles Perkins dies at 51; attorney helped lead Doug Jones campaign. 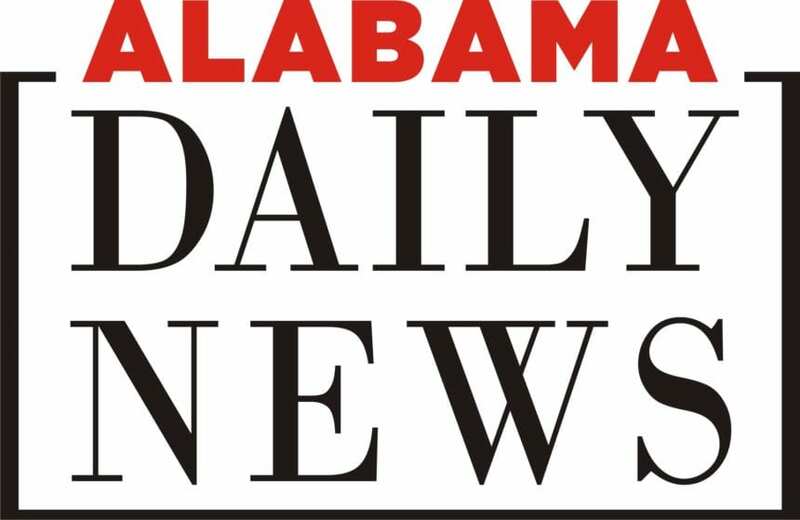 MONTGOMERY ADVERTISER – Maxwell forms group in hopes of improving education options for military families. NEW YORK TIMES – The Race Is On to Protect Data From the Next Leap in Computers. And China Has the Lead.